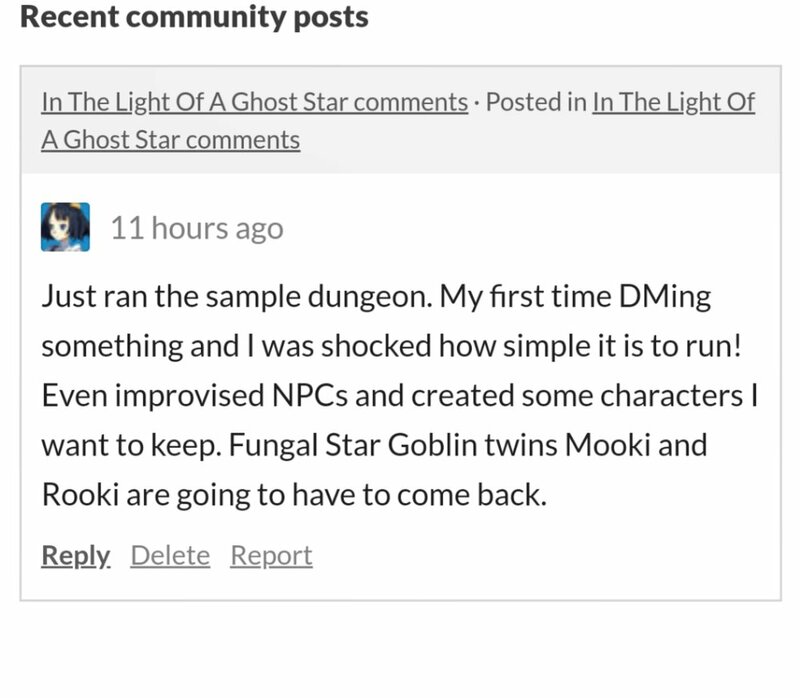 Got this great message in the Ghost Star comment section on Itch from first time DM Viscole. Viscole also created the Fungal Star Imps as friendlier counterparts to the Fungal Star Goblins. Very cool! Visions of a Forsaken Domain!